Join more than 1,400 Minnesotans who track the health of their favorite lake or stream — become a citizen water monitor today! 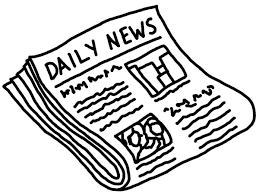 Citizens in every county can join the water quality movement by signing up to be a water monitor through the MPCA’s Citizen Monitoring Programs. With 69,000 miles of streams and over 14,000 lakes in Minnesota, more volunteer monitors are needed to help track the health of our waters. 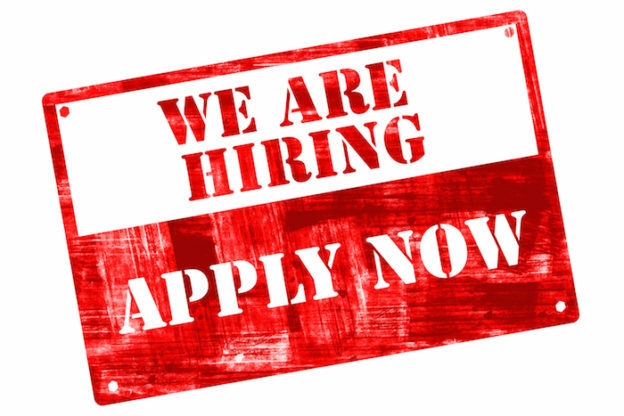 No prior experience or training is required – just a love of water. All equipment and training is provided by the MPCA free of charge. 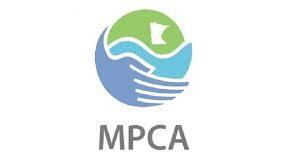 Find out if your favorite lake or stream needs monitoring by using the MPCA’s interactive map. 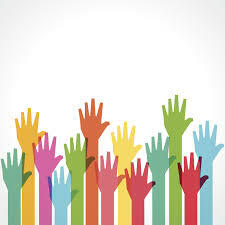 To become a volunteer or learn more about the program, visit the Citizen water monitoring enrollment webpage, or call 651-296-6300 (Twin Cities) or 800-657-3864 (Greater Minnesota). 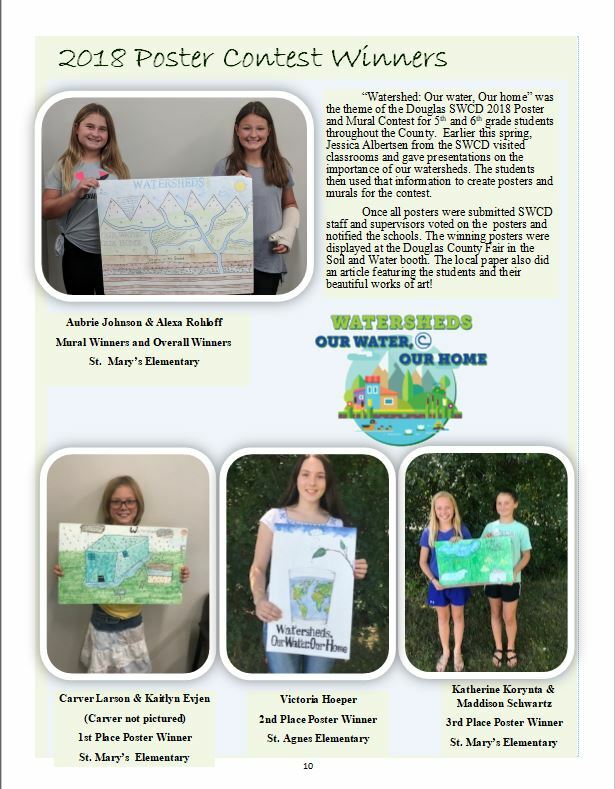 The Douglas SWCD 2019 NEWSLETTER is ready to view! 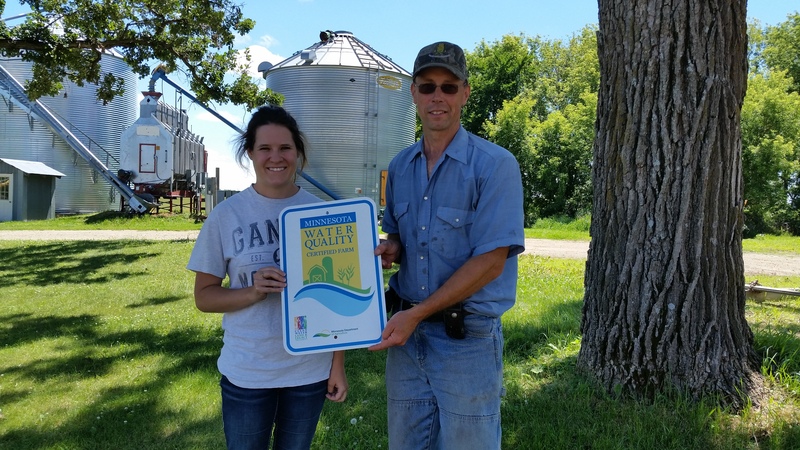 John Ledermann of Brandon is now certified in the MN Agricultural Water Quality Certification Program (MAWQCP). 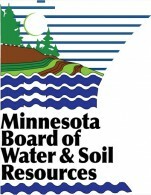 The Minnesota Agricultural Water Quality Certification Program (MAWQCP) is a voluntary program designed to accelerate adoption of on-farm conservation practices that protect Minnesota’s lakes and rivers. Farm owners and operators who implement and maintain approved farm management practices will be certified and in turn assured that their operation meets the state’s water quality goals and standards for a period of ten years. The MN Department of Agriculture administers MAWQCP. John Ledermann operates a combined acreage of about 1,500 acres with a crop rotation consisting of Corn, Soybeans and Wheat. Vegetative buffers are in place along lakes and wetlands have been restored near his home. Nutrient and pest best management practices are implemented to maximize production while minimizing negative impacts to water quality. Cover crops are planted after wheat harvest annually and now are inter seeded into sanding corn at about 6 leaf stage. Soybeans and wheat are planted with a no till planter while the corn is strip tilled. 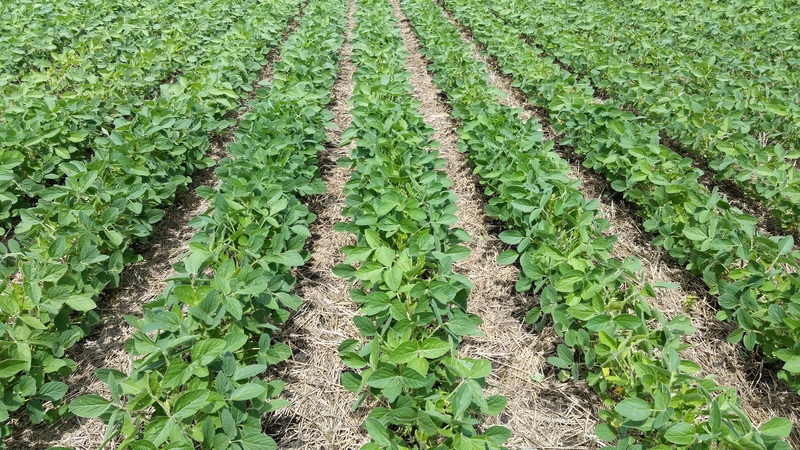 John is constantly striving to increase crop production potential by improving his fertilizer use efficiency and reducing erosion with his no till system. 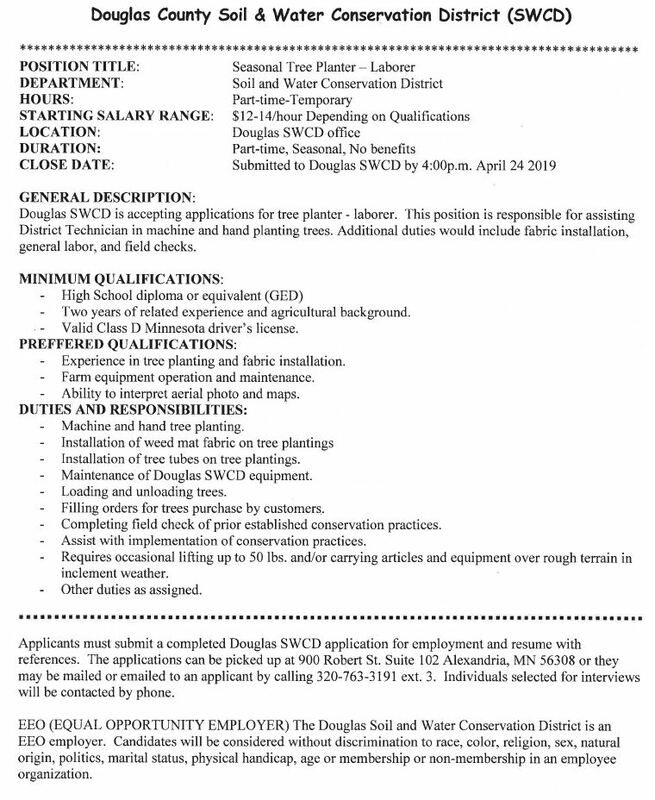 John Ledermann worked with Danica Derks from the Douglas SWCD and Area Certification Specialist Grant Pearson with the Stearns SWCD.